David Metcalfe, the founder of Newcastle-born arts production company Forma, has learned not to plan for the legacy of its projects. “It’s the kind of thing you hope for, rather than envisage,” he says simply. “We didn’t set out to make something with universal appeal, in fact it was a very specific history we were exploring,” he adds, speaking of The Miners’ Hymns, a commission for the 2010 Durham Brass Festival, which was first – and memorably – performed in the city’s cathedral. Billed quite correctly as an homage to the North East’s former coalmining communities, the piece was created by renowned American film maker Bill Morrison and Icelandic composer, Jóhann Jóhannsson, and offered a lyrical portrait of Britain’s industrial past. Rarely seen archive footage of working miners, the increasing mechanisation of the pits, the role of the trade unions, the North East’s annual Miners’ Gala and modern day aerial shots of the former coalfield sites was evocatively set to a score drawing on the region’s brass music heritage. “Thinking back to that time when we were making it, it was such a specific project,” remembers David. “All of the footage used in the film is from the Durham coalfield and we were working with local brass players, and so on. But I’d always hoped that in being so true – telling such a specific story – it would have a resonance beyond the area and be able to communicate on a much wider scale. Since enjoying its much-applauded premiere on home turf, The Miners’ Hymns has spread its wings widely. The Miners' Hymns trailer from Forma on Vimeo. The film (complete with a soundtrack recorded in the confines of Durham Cathedral a few months after the premiere performance) has been popular on the global film festival circuit, while its live performance incarnation – which is undoubtedly more special, but undeniably more complex and pricey in practical terms – has also enjoyed dates in former coalfield areas in Belgium and also in New York. “It has been particularly interesting to see how the piece has been received in the US,” says David, who founded the now London-based Forma in 2002. “Of course it has its own mining history over there, but really quite a different one to ours, and the whole socialist union history is very different too. “There’s something that translates on a very human level about the sense of community and sense of connection between people in the context of this film, and that translates to places like Detroit which was a motor town and is now desolate and bankrupt. Although pleased to see the piece being so well received around the world, David is particularly happy to be talking about The Miners’ Hymns “coming home” for two special performances in March. Thanks to some funding support from the Arts Council, Sage Gateshead’s Hall One will play host for the first of these on March 5, while an additional performance will be taking place on March 7 in Easington - whose colliery was last to close in 1993 - at the Social Welfare Centre as part of a weekend commemorating the anniversary of the 1984-85 Miners’ Strike. This event has been organised by the local community with the support of Beamish Museum. “It’s great to be able to bring it back to the region - we always wanted to - and we’re very much looking forward to the Sage performance,” says David. “But somehow there’s something even more special about bringing it to the Easington Social Welfare Hall - bringing it to the heart of the mining community. As well as the two dates in the North East, there will also be a performance in the Barbican Centre in London on March 9. And David is sure this won’t be the end. “It’s one of those great occasions when a project just has a momentum to it and I’m sure it will continue beyond this,” he says. “We’re probably reaching the point where we need to be focusing on other things,” he adds with a laugh. “For me as someone who is running an arts organisation and always thinking about how we can engage more people with what we do, this is such a perfect piece because it has an audience who relates to it through its subject, and then also has interest from people who are interested in contemporary music or experimental film. There will doubtless also be much interest in a forthcoming new collaboration between Bill Morrison and Jóhann Jóhannsson, which Forma has commissioned. “It’s nice going into something knowing they collaborate really well,” laughs David, referring to Forma’s reputation for putting artists who have never worked together, together. I wonder what brought prompted David to bring them together in the first instance. He’s happy to offer a recap. “The organisers of the (Durham) Brass Festival had come to us to talk about making a new project and there were some ideas about working with the local film archive, and of course it had to have a brass element. “I’d really loved his music for a long time and hadn’t found a way to work with him. There was something about the quality of his music which was quite emotional and majestic. His work has often reflected on redundant technology or things that have sort of decayed or aren’t around anymore. Once they’d both surpassed David’s expectations, it seemed obvious to encourage them to collaborate on something else. IBM 1401, A User’s Manual, is the project in question, which will use one of Jóhann’s past compositions as a starting point. “He made this beautiful piece about an old IBM computer from the 1950s,” says David. “So we will be using that and some new music he is composing. “We’re working with the Computer History Museum in Silicon Valley in California as well. They have a couple of these old computers which they are restoring. But for now, the focus remains with the continued legacy of the Miners’ Hymns - which, for Forma, stretches beyond repeat performances and screenings, rewarding as they are. “We are part of the consortium which was successful in raising some Arts Council funding towards a project in East Durham as part of the Creative People and Places projects,” says David. “We’re working with Beamish and the East Durham Trust in doing a two-and-a-half year programme of work. “That kind of invitation for us to work in that way really came about after the Miner’s Hymns. The Miners’ Hymns will be performed at Sage Gateshead on March 5 and Easington Social Welfare Centre on March 7. There are no tickets left for the Easington performance. 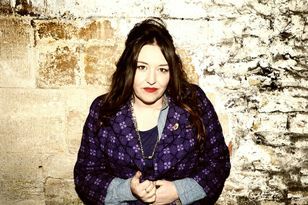 For Sage tickets, call 0191 443 4661 or visit www.sagegateshead.com.